Exceptional quality and fantastic functionality combine in the Gather Deluxe Pen one of the very best selling metal pens in the nation! European inspired design for functionality and supreme comfort make this one of the most appealing Promotional Metal Pens on the market. The Osaka pen is another new one around here that has been getting great feedback in a short period of time! Writing tools have always been considered one of the most popular marketing tools around - and for a good reason. Not only are such Promotional Pens cost-effective, they are also very useful, which helps keep them highly visible and effective at promoting brands, company names, and campaigns. 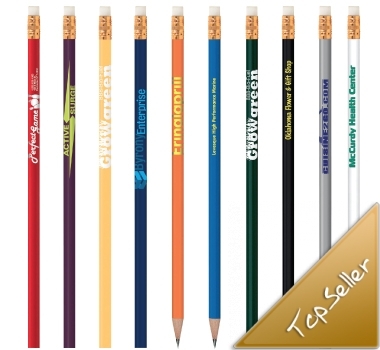 We can easily print your company name, logo, or brand on different types of writing tools. These small but useful items can be easily handed out at trade shows, product launches, campaigns, and company events, to name a few uses. When you need to find the perfect branded pens for your marketing and advertising needs or even for use as souvenirs during special events, you can take your pick among the many varieties available to you. We offer big brand names such as Parker, Waterman, Bic and and Papermate to drop a few names. BrandMe.com.au has been meeting the demands of many customers for their customised writing tool needs, with different offerings for a variety of budget and event considerations. We have gel ink pens, highlighters, permanent markers and novelty pens for you to choose from. We also carry multi-ink pens, retractable pens, and pen sets for your custom pen needs too. Organisations, event planners, company marketing teams, and government buyers can all avail of these budget-friendly promotional items when they need them. These pens come in many different colours, colour combinations, and designs to suit your particular marketing and advertising needs. Pens have been around for quite some time, with ancient civilizations using bamboo sticks and feathers dipped in ink as writing instruments. The huge selection you have to choose from may bewilder you and leave you with more unanswered questions than you want! We have an experienced and friendly sales team that can help you make the decisions you need to make for your custom promotional pens. When you need to work with a tight budget and within specific parameters, and when you want more out of your pens, we can help you with that as well. Just let us know what you need and how you want your promotional items to look, and you can expect more from us as we will give you not only the best advice we can give but also the best products that we have for your specifications.